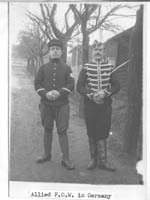 during World War I, 1914-1923. Chapter 8"Keeping Body and Soul Together"
1 Once the American YMCA gained access to prison camps and established a working relationship with the belligerent governments through WPA organizations, the Association became instrumental in addressing diplomatic problems related to war prisoners. Beyond the general treatment of POWs, the two major areas of concern were reprisal facilities and propaganda camps, which belligerents developed for political objectives. 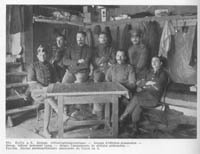 In addition, as the YMCA proved its value in POW relief operations, a symbiotic relationship grew between the Association and the American Diplomatic Corps. An indirect result of YMCA WPA operations was the establishment and fostering of informal diplomatic relations between belligerents during the war. 5 The American YMCA undertook special efforts to prevent reprisals from occurring and offered its good offices to reverse reprisal measures once they were implemented. The negative side of reciprocity included the reduction of privileges to POWs if authorities believed the enemy planned to implement a similar reduction in benefits. The YMCA served as a neutral source of information to confirm or deny planned or implemented punishment for all of the belligerent nations. If the accusation was unfounded, the Association could preempt the reprisal; if true, the YMCA worked to redress the original grievance to resecure the withdrawn privileges. 8 The polar opposite of reprisal centers were propaganda camps. The YMCA encountered them in Germany, Austria-Hungary, France, and, to a lesser extent, Russia. The special privileges extended by captors at these camps were designed to recruit men from dissident minority nationalities, most from subjected colonial peoples, and persuade them to switch their allegiance in pursuit of the captor's political goals. 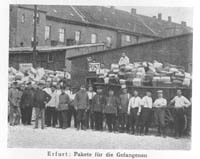 In the propaganda camps, captors made conditions as comfortable as possible-they increased rations, loosened regulations, and offered various inducements to win over prisoners. Many of these subject nationalities were politically sympathetic to their captors' overtures, since the victory of their imperial masters meant their continued subjugation. 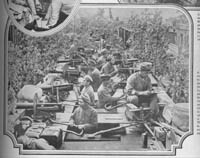 Despite these material benefits, POWs in propaganda camps faced unique problems that the YMCA made a special effort to alleviate. 11 Despite the superior conditions in propaganda camps, political prisoners suffered in other ways. They were branded deserters, especially by Austria-Hungary, and were abandoned by their governments. Minority prisoners suffered persecution as traitors by loyal fellow prisoners and lost access to material and financial support from their homelands. For example, the Dual Monarchy outlawed the exportation of Slavic books to Allied POW camps, which contributed to the shortage of literature among prisoners. Due to this rejection and neglect, YMCA secretaries made special efforts to address these prisoners' needs. The Association provided native food supplements for Hindu and Muslim prisoners in Germany to meet their dietary and religious requirements. Allied commentators later criticized these efforts as promoting the German propaganda effort. 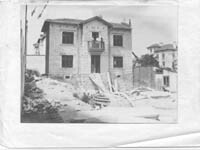 14 On the other hand, the American YMCA provided invaluable assistance to the U.S. government through its WPA relief efforts. As a neutral power representing the interests of several belligerents, the United States was legally bound under the Hague Conventions to provide assistance to war prisoners. Due to the government's limited experience in welfare operations, and an overload of diplomatic priorities, the American Diplomatic Corps was taxed to the limit. Red Triangle secretaries provided American officials with accurate reports on camp conditions and the location of prisoners. Association visitations reduced the need for embassy officials to leave their posts, and the wide range of YMCA operations provided the government with reports from camps that were generally inaccessible to American officials. But Red Triangle secretaries did work in an unofficial capacity as neutral welfare workers; although secretaries included political and social observations about their assigned areas, their reports did not reflect "intelligence collection" activities for the U.S. government. Copies of reports were also sent to the national WPA committees, the Foreign Office, and the International Committee in New York. 16 Even after the United States broke off diplomatic relations with Germany, the American YMCA maintained a presence in the German Empire in the person of Conrad Hoffman. He made the relief of American prisoners a priority, and helped U.S. POWs avoid many of the problems that plagued other Allied prisoners. 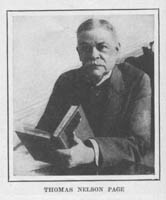 Hoffman experienced at first hand life in Germany during the last years of the war and after the Armistice, and he was an important source of expertise for the Allied High Commission. 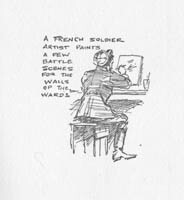 He was able to rapidly set up relief operations for Allied prisoners once he regained access to plentiful supplies. After the American YMCA reestablished its presence in German prison camps, the Association performed another important service in support of Wilson's foreign policy by fighting Bolshevik propaganda in an ideological war for the hearts and minds of Russian prisoners. The YMCA challenged Red agitators through the Association's "Four-fold Program." When it became clear that the Bolsheviks would triumph in the Russian Civil War, the American YMCA continued the struggle by supporting Russian émigrés and the Russian Orthodox Church. 17 While American YMCA "ambassadors" achieved notable victories during their negotiations, difficult barriers undermined their overall effectiveness. The most serious obstacle was the high level of suspicion created by the pressures of total warfare. Whereas the Association's assistance had generally been welcomed in earlier wars, such as the Russo-Japanese War, YMCA representatives met deep distrust regarding their motives. Suspicions were bred by propaganda campaigns launched by the belligerents to stir their populations to arms and to justify the righteousness of their causes. The Association encountered this suspicion in four major forms. 23 The WPA work of the American YMCA also led to serious tensions within the international Association community. Tensions emerged between the International Committee, the German National YMCA Council, and the World's Alliance. Although Christian Phildius and the World's Committee were the titular leaders of war prisoner relief work, their authority became increasingly nominal during the war. 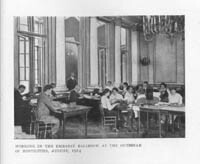 There was an advantage in having the Geneva organization rule on important decisions, because this committee enjoyed international support as the pre-war leader of the global Association Movement. The World's Alliance lacked the financial and manpower resources, however, to play a leading role in POW relief. 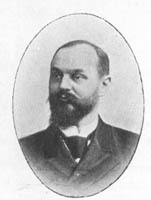 Phildius' diplomatic efforts achieved only modest success in Bulgaria and Turkey. The driving force behind POW relief was Mott's financial wizardry and Harte's astute shuttle diplomacy. The American YMCA's relief program was also bolstered by the political support of the Wilson Administration. 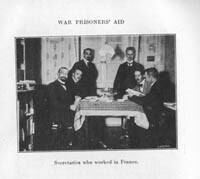 25 The Association's reputation also suffered criticism due to its support of American neutrality prior to February 1917. 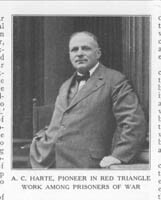 In the American YMCA's dealings with the Central Powers, Harte gained access to German prison camps because the United States was one of the few Great Powers not involved in the conflict. 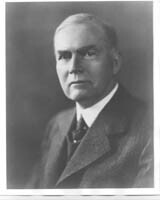 After the Wilson Administration declared war on Germany, the International Committee decided to throw its full support behind the Allied war effort, instead of maintaining its neutral policies in support of the American YMCA's original mission. Nationalism emerged as a major threat to the integrity of the World's Alliance, an organization dedicated to Christian Internationalism. 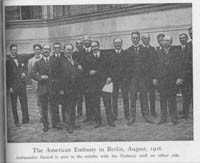 Although the World's Committee prevented a permanent cleavage in the organization during the August 1918 meetings between Mott and the German national leadership, a serious rift remained in the World's Alliance for several years after the war. 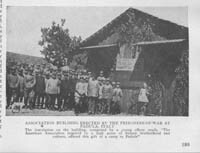 28 The American YMCA's efforts to combat Bolshevism in German prison camps after the Armistice also met with limited success. While the Association countered Bolshevik propaganda, too many factors undermined the YMCA's program. First, the Allies failed to develop a coherent, coordinated policy to deal with Bolsheviks. Instead, a fragmented and inconsistent policy added to the chaotic conditions in Russia. Second, the Bolshevik triumph in the Russian Civil War eliminated any gains the Association had achieved in Germany. For most prisoners, isolated in Central Power prison camps for years, the civil war in Russia was beyond their comprehension. Their goal was simply to return home and renew life again outside of the barbed-wire stockades. That their homeland was undergoing the terrible strains of a social revolution was impossible to care about or even understand. Joining the White Russian armies or fighting with the Red Army had little appeal for many prisoners. While the French had hopes of recruiting Russian prisoners for the White Russian cause, the American YMCA did little to promote this goal. 29 On the positive side, the American YMCA's accomplishments far outweighed these comparatively minor drawbacks. Where the American YMCA did establish WPA programs, they were able to greatly improve the general welfare of the prisoners. Harte's diplomatic missions were an impressive success, especially in light of the wartime conditions he faced. He managed to gain access and expand operations in most of the belligerent nations, and the American YMCA eventually established POW relief work across Europe, North Africa, India, Siberia, Japan, Canada, and the United States. This was no mean accomplishment, considering the deep suspicion these nations exhibited towards neutral welfare organizations, especially those requesting permission to aid the enemy within their borders. 31 The American YMCA should be considered a pioneer in international social work, since general relief for POWs had never been conducted on so grand a scale. American secretaries provided essential services to prisoners in transferring funds, mail, and parcels and distributing private, neutral charitable aid. The Association was a neutral source of information regarding conditions in prison camps, and it relieved U.S. embassy staffs of many administrative burdens. 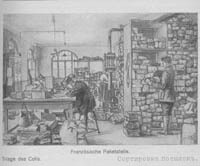 The organization also served as an important relief distribution agency for the U.S. government, especially in Russia, where no other infrastructure existed. As the leading partner in the Council of Prisoners of War, the YMCA might have effectively reduced the suffering of war prisoners in Central and Eastern Europe if the Allies had approved the project. Without question, the American YMCA provided essential services to POWs in Europe, ranging from simply providing a diversion from prison camp monotony to saving lives by closing down reprisal camps and promoting food distribution. 33 Most importantly, the YMCA served as the model for America's international social welfare assistance program during World War II. An international conference in Geneva in July 1929 considered the problems associated with the treatment of POWs during the Great War. The resulting treaty specifically addressed war prisoners' rights to the exercise of religion, intellectual diversions, and organized sports. Domestic political developments during the inter-war years also played an important role in future YMCA overseas missions. The Depression demonstrated that national emergencies could overwhelm private social welfare operations, and the Roosevelt Administration introduced radical federal social welfare programs to alleviate poverty through New Deal legislation. 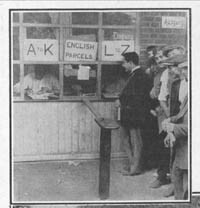 When Europe resumed war in 1939, the U.S. government extended this concept of federal welfare assistance overseas by assuming overall responsibility for POW relief, which the American YMCA had provided in the First World War. The Roosevelt Administration combined the social welfare expertise of several American social welfare organizations under a single government umbrella and provided government resources to support foreign relief operations.